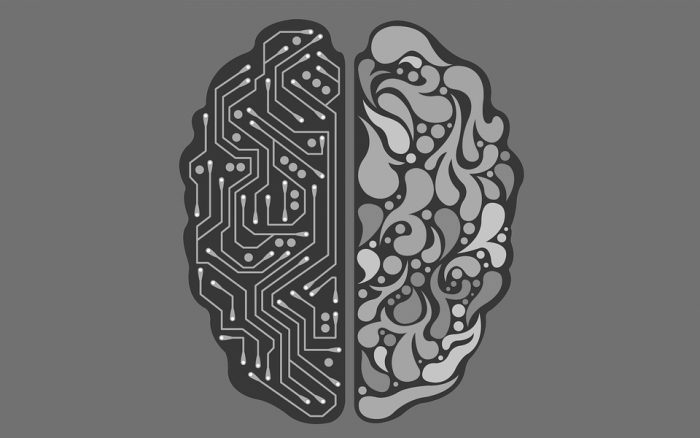 WILL ARTIFICIAL INTELLIGENCE REPLACE CALL CENTER AGENTS? Over the past six months, every negative emotion from doom and gloom, to outright panic has been vented in the Philippine media regarding the imminent demise of the call center industry. Everyone from IT trend pundits to captains of industry seem to voice the concern that very soon, tens of thousands of jobs and billions of dollars of revenue will depart forever from local shores. It all sounds ominous, but the facts and the context of the matter tell a very different story. If applied correctly, AI will be a boon to the Philippine outsourcing industry, allowing people to keep their jobs while increasing their productivity and customer satisfaction levels. It may sound like an over-optimistic scenario, but this is an argument with merits. People may not realize it, but this isn’t the first time that the Philippine labor market faced a formidable rival intelligence and prevailed. When the Philippines entered the call center industry, India was the dominant player. It was cheaper and better funded than the Philippines with a much larger labor pool, yet the Philippine outsourcing scene experienced continuously high growth levels year over year. Within five years, the Philippines surpassed India in the call center scene and has not looked back since. Analyzing the factors that led to the Philippines “winning” the call center skirmish will yield clues as to how it will stay resilient even in the face of widespread AI adoption. Philippine call centers did very well against their Indian counterparts not because they were better funded, nor did they have naturally more talented people. They didn’t have better technology or infrastructure to support their growth, either. If there was no clear advantage on either side based on these crucial factors, how were Philippine call centers able to gain the upper hand? The answer is simple but often overlooked: Philippine call centers won because service and care are as natural to Pinoy culture as Samba is to Brazil. It’s the reason why a Filipino call center agent can do in one call what it took Indian call center agents 5 calls to accomplish. If it was so easy to systemize that intuitive level of service, India would have copied the Philippine style and neutralized that advantage years ago. By that logic, true call center industry experts are skeptical that a bunch of coders armed with machine learning are going to replicate and surpass what the mighty India could not. 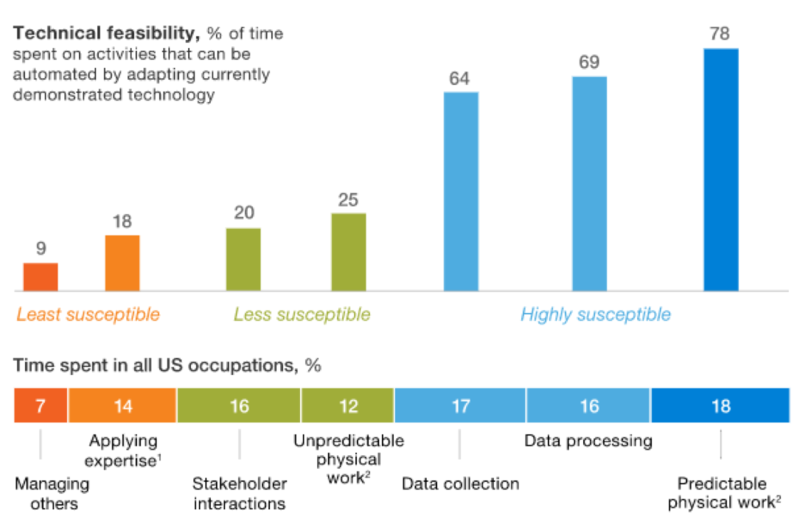 In a study conducted by McKinsey and Company, they have made a detailed analysis of 2,000-plus work activities for more than 800 occupations, analyzing work activities rather than occupations to accurately examine the technical feasibility of automation2. Taking into account the different responsibilities of a call center agent, most of their job falls into four categories- data processing, data collection, applying expertise and managing others. Half of which is highly susceptible while the latter is the least susceptible. Even when machines do take over some human activities in an occupation, this does not necessarily spell the end of the jobs in that line of work. 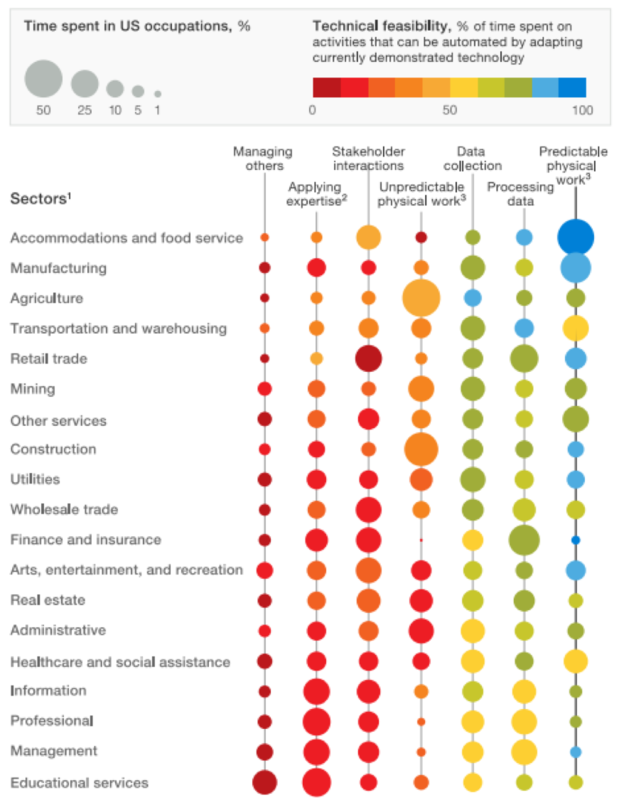 While some job functions were automated, the demand for the remaining activities that AI cannot provide continues to grow. Take for instance the invention of automated teller machines (ATMs) which replaced mundane teller tasks, reducing tellers per branch. There were fears at the time that the machines would lead to the loss of many banking jobs but the very opposite happened. Banks found themselves doing more with lower costs, allowing them to open new branches that in turn hired more people. Decades after ATMs were introduced, there are more bank branches than ever and working for one is still one of the most stable career paths worldwide. The synergy between human employees and banking machines has allowed additional tellers to focus on forging relationships with customers, solving problems and introducing them to new products- ultimately eliminating simple tasks and paving the way to a more cognitively demanding job. In general, automating some subset of those tasks doesn’t make the other ones unnecessary. In fact, it makes them more important. It increases their economic value. While it is expected that “low-skilled” or process-driven BPO jobs will be replaced by AI in the next five years, it all boils down to customer service. This is an aspect of call center processes that’s very human and is unlikely to be passed on to even the most sophisticated AI systems. The potential for AI in call centers is twofold. First, it can seamlessly give customers the right information they need at the right time by offering self-service options, eliminating the need for a call to customer service. Second, AI has the potential to give customer service representatives more information to help them handle the complicated issues that self-service cannot resolve. The future of Artificial Intelligence in the BPO industry is one where these software tools make humans more efficient. Call centers are the front line of all companies– especially big corporations – providing a direct link between businesses and customers. According to a research by Forrester a, voice calls is still the most used communication channel for service. So, instead of claiming that AI will replace call center jobs, it should be considered as a powerful tool that can aid and augment the customer service process within the call center. Predictive analytics provided by AI can aid human agents in creating a more positive interaction with a customer. Eventually, AI will draw on multiple data sources to anticipate customer and company needs, handle interactions on its own where possible, and provide in-call support where needed. When call-center companies talk about artificial intelligence, it is not about replacing live agents but making the total system more efficient. This application is currently being practiced by Stephanie Sy, founder and data scientist at Thinking Machines. They are currently tackling outsourcing in the Philippines, helping redesign the country’s economy to adapt to the new AI age through human augmentation- making employees more productive while still providing the emotive connection that makes call center agents more valuable. Facebook reported that messenger bots have failed 70% of all user requests because they are not precise enough and are too impersonal. Customers still ask for the personal touch — with almost 70% of the purchasing experience based on how they feel they are treated. Standard responses to eliminate human error (IT systems, mechanistic CRM approaches, and complex protocols, for example) can be acceptable solutions to simple customer interactions as evidenced by remote-banking and online shopping- but pure technological solutions will never replace the emotional connection between and agent and customer—the kind of connection that characterizes positive moments in complex frontline situations. Leveraging AI to enhance customer experience can directly translate to improved customer loyalty, increased employee engagement and overall improved operational effectiveness. So, what does automation mean for the BPO industry in the Philippines? Artificial intelligence will not replace call center agents but rather, replace poor BPO processes. AI will replace purely human call centers but will create hybrid call centers. New technology will give agents the ability to do their job better- bridging the gap between customer dissatisfaction (as evidenced by Facebook messenger bots) and employee inefficiency by helping agents help customers (providing data, anticipating needs and provide overall more accurate support to customer and employees). 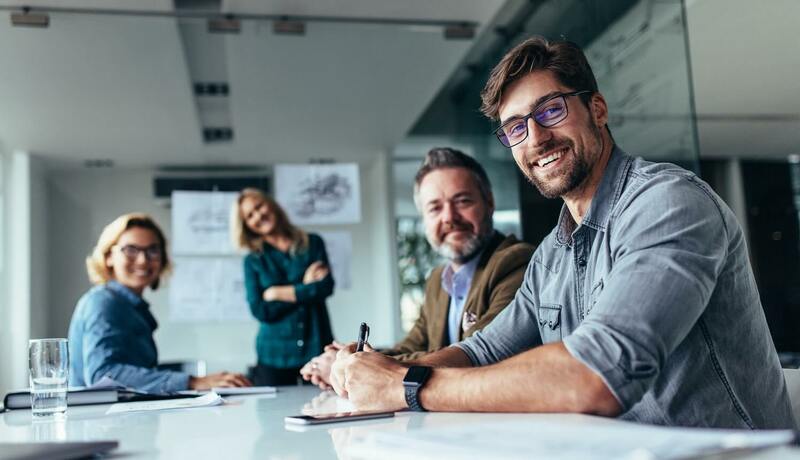 Companies using the technology are solving cases with a reported 50 to 60 percent improved time to resolution, upskilling employees, retaining employees longer, improving employee satisfaction, and empowering self-service success. Making it easier for the agent can significantly reduce turnover rates in call centers that are due to physical and mental burnout. And how does this translate to changes in the BPO industry in the Philippines? The BPO industry in the Philippines is seeing a very positive future. 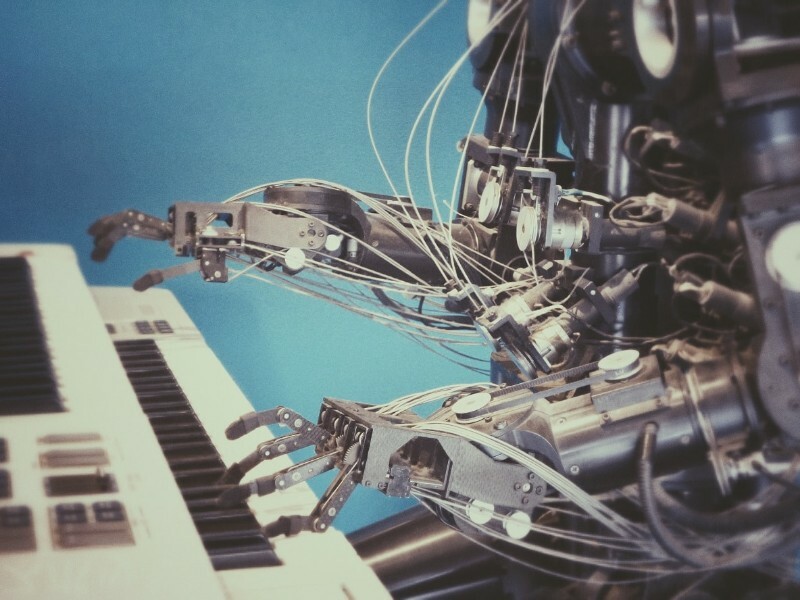 Despite claims that AI threatens hundreds of thousands of jobs in the BPO industry, the industry expects to hire about 1.8 million people by 2022. More than 70% of those jobs will likely be in mid- to high-skilled roles. It is also estimated that the Philippines will significantly grow its share of the global outsourcing pie, which is expected to hit $250 billion by the same year. This comes as no surprise, seeing as the Philippines has overtook India in 2011 with the largest number of voice-based BPO services in the world. Currently, call center agents are being trained for higher-paying jobs that require critical thinking and complex decision-making. So, while BPO tasks that can be automated are expected to be reduced by 28% in the next six years, middle- and high-skill tasks that require experience are seen to grow by 7 percent and 48 percent, respectively during the same period. The Philippines is also seeing a boost in the demand for office space despite the potential impact of artificial intelligence in replacing jobs. The demand for office space by the BPO sector will continue to expand as technological innovations will increase the demand for jobs.